In the 1970s and 80s, numerous mainlanders illegally entered Macau and Hong Kong in search of freedom and better lives. Scholars later dubbed the mass movement of people as the “Great Exodus.” In Macau tens of thousands of migrants were granted legal residency in three phases of so-called “pardons.” Due to the city’s low population, these former illegal immigrants do constitute a large portion what now is called the “Macau people.” According to two immigrants who braved the deep waters and possible bullets to enter the Portuguese colony, many of them actually intended to go to the British colony of HK. “I swam here with four of my friends, from today’s Wanzai in Zhuhai, about 200 meters north to the present Sai Van Bridge. The waterway was much wider than it currently is, so it took us three to four hours to cross the river. 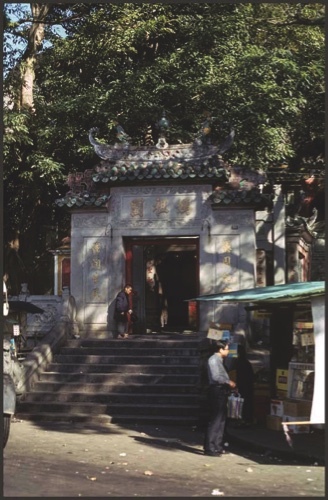 We arrived ashore at a site near the A-Ma Temple…It was 1979, and I was 19 years old,” Tin Kit Wah told the Times. For many migrants, however, the second choice became the final choice: “In the early 80s HK terminated its so-called ‘pardon’ [giving legal status] for illegal immigrants, so a huge number of mainlanders entering Macau had to give up their next exodus, at least for the time being.” Macau became their permanent home. “Many illegal immigrants found the hard and dark sides of life in the places they aspired for, including all forms of discrimination. But they kept coming in great numbers, and this resulted in working without a salary but with food instead, sometimes living in makeshift accommodation. This was because the labor force supplied by the immigrants was in too great a supply, and the employers had no difficulty in finding workers. If you were fortunate enough to have a job, you probably got no pay at all,” Tin Kit Wah continued. After around one month’s time it seemed Ho Yin managed to reach an agreement with the Portuguese authorities, they organized not a ‘pardon,’ but an arrangement called a ‘blue card’ (temporary stay permit). It was 1980, when the illegal immigrants were given a certificate of temporary residence for a period of two to three years: If they didn’t commit any crimes during that period they would be given formal ID cards, or a permanent residency. The issue was settled. 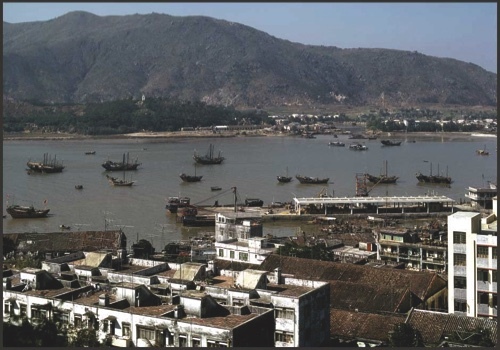 “The incident was so eye-catching that the mainland authority dispatched nearly 100,000 border guards to station the major crossing points at Gongbei, Zhuhai, and Hengqin, fearing the amnesty would trigger an even bigger exodus in neighboring areas,” Tin Kit Wah mentions. 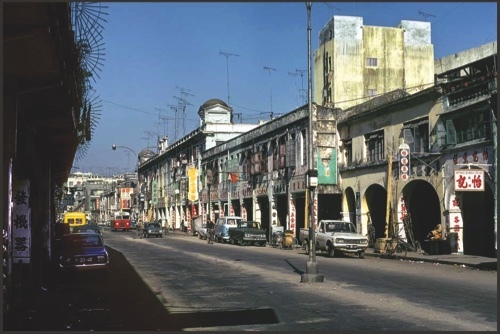 Sixty-six year-old Liang Bo entered Macau in the 70s, several years earlier than Tin. His recollection of migration was a “smoother” but typical exodus of that period: “I entered here as an illegal immigrant, as did my two brothers and my sister, alongside my parents.” The Liang family came from the southern Guangdong town of Xiaonan, which is now a stop in the newly operated Guangzhou-Zhuhai Interlink railway. “Getting from Zhuhai to Macau was very easy at that time, due to the lack of effective border control, and unlike getting from Shenzhen to Hong Kong, where you had to cross a river and mountains and trek for days and nights in order to get to the town. In Zhuhai there are shallow waters where, when the tide was low, an adult could wade through the water without the need to swim at all. More importantly, the residential areas were nearby upon arriving onshore, where one can easily mingle with the local community, who speak the same language,” the retired man told the Times. But this didn’t mean life was any easier after crossing the water. “It was much harder than we imagined. Working as a coolie, I got only 30 patacas one month, which was way below the average pay of a local worker, around 600 patacas at that time.” It was not until the first time the colonial government gave legal residency to the illegal immigrants in 1982 that Liang and his family gradually improved their living conditions by switching to better jobs. Liang was also able to lead a normal life without the need to hide from the police. Shenzhen writer Chen Bingan has released a book entitled “The Great Exodus to Hong Kong.” The writer spent over 20 years documenting the stories of the survivors of that exodus involving millions of people. In addition to a huge amount of information and historical background, the book also features accounts by former illegal immigrants. The writer told the South China Morning Post that the issue has long been considered too sensitive to discuss until a few years ago. “I believe (the people who fled in the exodus) are all heroes and should be recorded in China’s history,” Chen Bingan states.